Infiniti Q30 concept revealed ahead of Frankfurt | What Car? 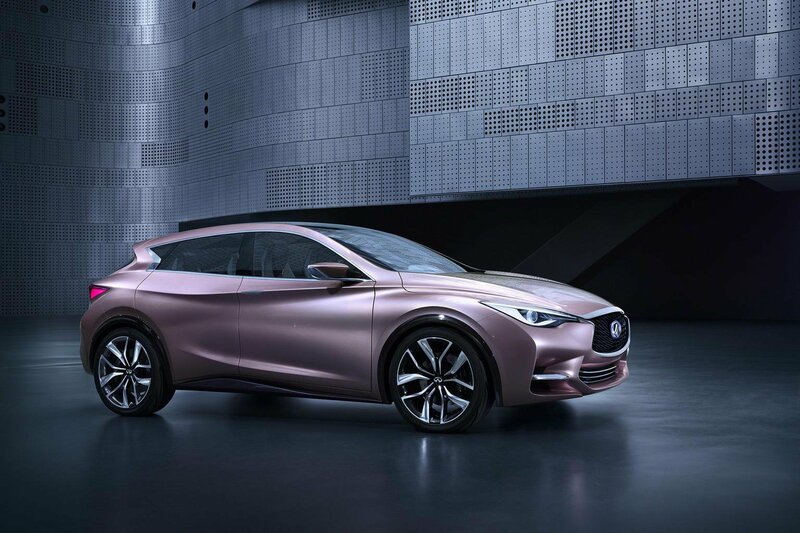 The Infiniti Q30 concept has been revealed ahead of its official debut at the Frankfurt motor show next month. The concept is the closest indication yet of what Infiniti's new small model will look like when it goes on sale in 2015. The Q30 is intended to be a rival for the likes of the Audi A3, BMW 1 Series and the Mercedes-Benz A-Class. Prices are set to be competitive with all three, meaning it should start at around £20,000. The Q30 will share underpinnings with the Mercedes A-Class and B-Class, and will also offer Mercedes engines. The finished version of the Q30 is not due to go on sale until 2015, and the production car is not expected to be revealed for at least another year, with the 2014 Los Angeles motor show a likely location for its global debut.